Joseph Naytowhow, Cree knowledge keeper, storyteller, musician, and artist will be doing a residency at the University of Regina with the Elementary Program as part of PLACE. He will be at the U of R from January 26 to February 6 and will be located in ED 221.5. 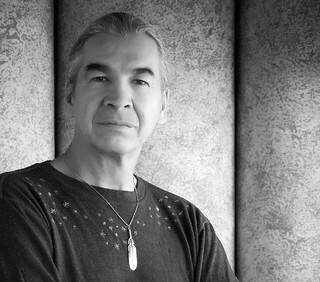 Joseph is knowledgeable with treaty, oral history, storytelling, protocol and much more. He is at the U of R to work with faculty, sessionals and students in the third year of the elementary program. 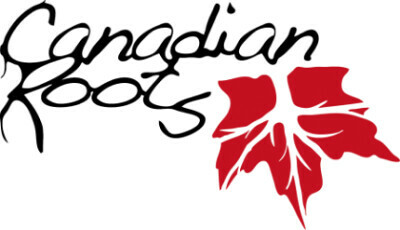 There is a growing conversation about reconciliation in Canada and addressing contemporary inequalities and injustices facing First Nations children is a vital part of the conversation. 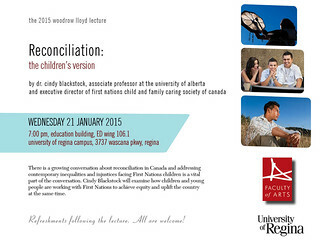 Dr. Cindy Blackstock will examine how children and young people are working with First Nations to achieve equity and to uplift the country at the same time. Refreshments follow the lecture. All are welcome. The Witness Blanket installation is now at the University of Regina campus (January and February). Instructors are invited to include topics of residential schooling in this winter’s courses. Please bring your students to view the display on the main floor of the RIC Atrium (between College West and the Laboratory Building). For additional information, view information below. The Witness Blanket is recognized as a national monument that highlights the atrocities of the Indian residential school era. The installation honours the children’s’ lives and their legacies that were lost and untold within history. This profound installation has 887 pieces of artifacts that have been reclaimed from various abandoned residential schools, government buildings, churches, band offices, treatment centres, universities and ceremonial objects from across Canada. The artist, Carey Newman, states, “To bear witness is to show by your existence that something is true”. As a witness, you have the opportunity to become a part of the untold stories and to take part in reshaping the history of the Residential School Era. 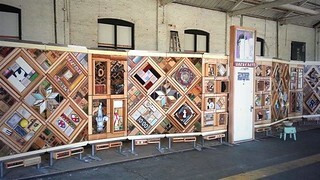 What knowledge did you have prior to viewing the Witness Blanket? What did you learn from the installation? 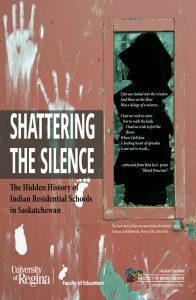 How do you plan on facilitating the conversation about residential schools and the experiences of the children that attended?